One to read if you loved The Day the Crayons Quit! More smart art materials with plenty to say. The young chalks love keeping busy at the chalkboard, but someone keeps stealing their drawings. Who is behind it? Mrs Red calls Sergeant Blue, who comes to investigate. But when they spot the culprit, he escapes in a cloud of chalk dust. Hmm: now what? The chalks decide to lay a trap. But when they finally catch the culprit, what will they find? Clue: not what they think! 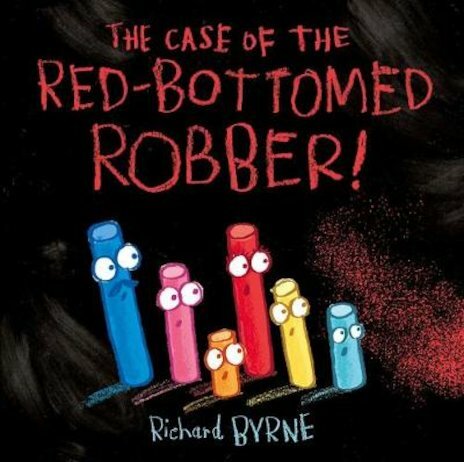 Help these friendly chalks along as they investigate the crime and dodge red herrings! Can you solve the multicoloured mystery?